Here you can find latest LG G2 mini firmware download and read the review on this smartphone. We also share with you the manual how to install firmware on LG G2 Mini. Can we call 4.7-inch smartphone "Mini"? LG decided that yes and no mistake. LG G2 Mini is not small, but compact and incredibly lightweight - only 121 grams. LG G2 Mini has physical buttons on rear textured panel. Korean company equipped mini-version with battery capacity of 2440 mAh and microSD slot. However, the light weight and thin back panel of textured plastic still no guarantee of success. First of all, front panel plays the main role. LG G2 Mini has 4.7-inch LCD display with resolution 960 x 540 pixels. The touch screen is good enough. Software LG G2 Mini has not significant changes compared to LG G2. Manufacturers have added a new feature "Knock Code". This is a new screen lock method, in which the screen is divided into four quadrants. The code is given by the introduction of an arbitrary pattern in the four squares that you repeat every time you unlock your smartphone. Easy Mode will turn your smartphone into a mobile phone for seniors. Home screen widgets disappear, and user have only main functions. Also LG G2 Mini has 1GB of RAM, Snapdragon 400 processor and 8-MP main camera. We think that you have come here for LG G2 Mini firmware download. We have assembled a complete collection of available firmware. Note: we are not responsible for any damage to your smartphone. Everything that you do at your own risk. 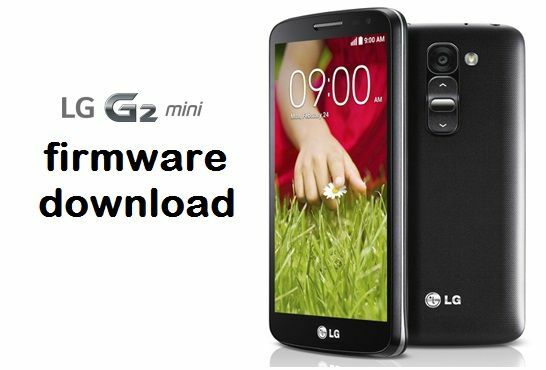 Install LG G2 Mini firmware for your phone model and country, otherwise problems may occur. If our collection LG G2 mini firmware download was helpful to you, please share article to social networks.